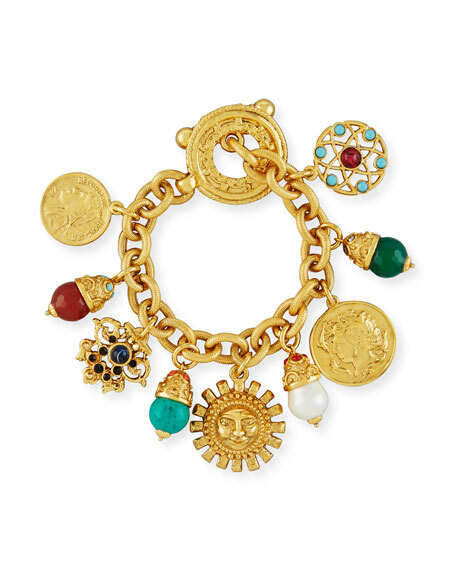 Jose & Maria Barrera "Sun Coin" charm bracelet. 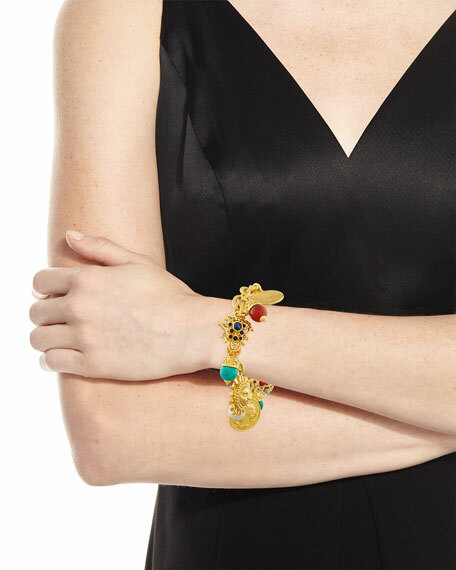 Mixed charms, including carnelian, green jade, shell-based synthetic pearl, Austrian crystals, and glass cabochons. For in-store inquiries, use sku #2281507.